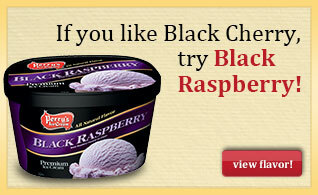 Black cherry ice cream with black cherries. (Did we mention the cherries?) Ideal for cherry lovers of all ages. 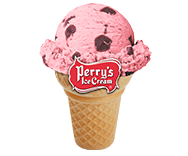 MILK, CREAM, CORN SYRUP, LIQUID SUGAR, BLACK CHERRIES (CHERRIES, WATER, CORN SYRUP, HIGH FRUCTOSE CORN SYRUP, NATURAL FLAVOR, CITRIC ACID, TARA GUM, RED 40, BLUE 1), SKIM MILK, BUTTERMILK, MILKFAT, WHEY, NATURAL FLAVOR, MONO- AND DIGLYCERIDES, CELLULOSE GUM, GUAR GUM, CARRAGEENAN, DEXTROSE, RED 40.